Families can spend a year or more planning the perfect Disney vacation, and there are some that say all that planning takes the fun out of it. But I disagree. You’re spending a lot of time and money on your Disney vacation, so you want to make sure you enjoy it. 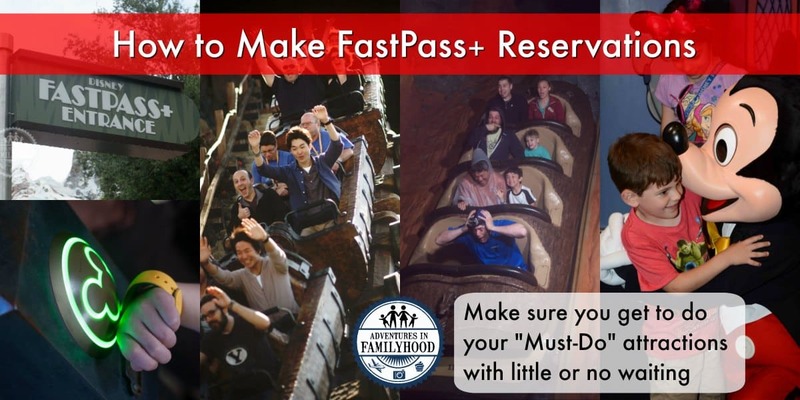 Disney’s FastPass+ helps guarantee you’ll have a great time! 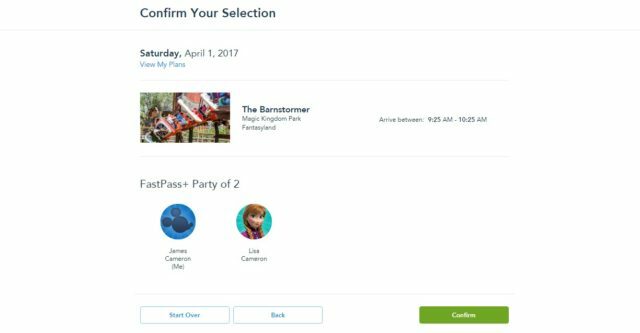 Disney’s FastPass+ system allows guests to skip waiting in line at select attractions, character meet and greets, and shows. It is included with the price of admission to Walt Disney World theme parks. 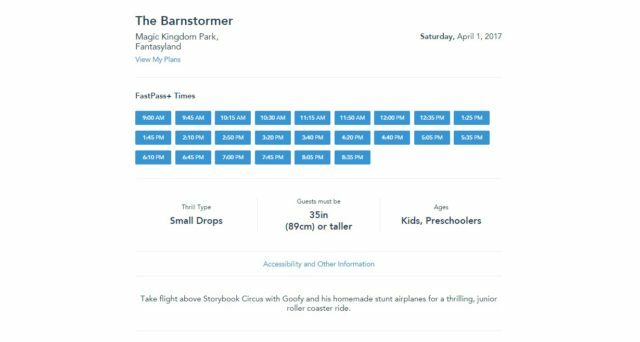 Instead of walking up to an attraction and getting into the standby line, guests using FastPass+ have an hour-long return window (Some shows have a shorter return window). You return during your window, and you enter through a separate line that is usually a lot shorter. 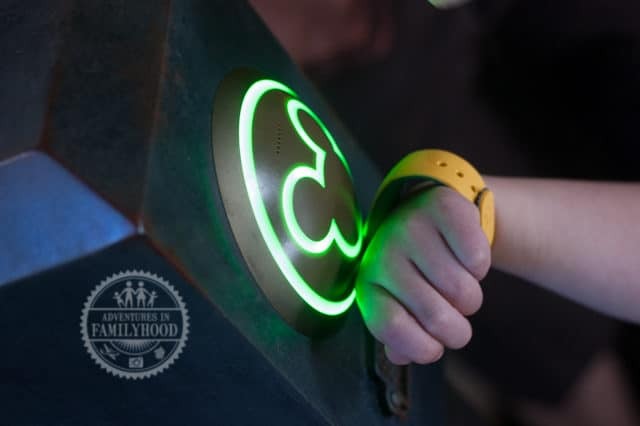 Tap your MagicBand or Ticket against the Mickey Head to redeem your FastPass+. Then enjoy the attraction with little or no wait! How Many FastPass+ Do I Get? 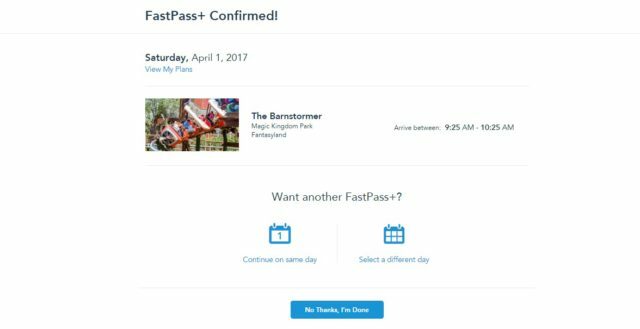 Everyone is allowed 3 initial FastPass+ reservations per day of theme park admission. Those initial reservations must be made within the same park. After those first 3 are used, you can use the mobile app, website, or in-park kiosks to make more one at a time, gaining the ability to make a new reservation as each is used. Each attraction has a limited number of FastPass+ slots, so reservations are subject to availability. Popular attractions will “sell out” during the advance booking period. Others will fill up during the day, and the less popular attractions may not. You need two things in order to make FastPass+ reservations: Valid Walt Disney World Theme Park Tickets and a My Disney Experience Account. Once your tickets are linked to each member of your family in My Disney Experience, you can make your FastPass+ reservations. If you are staying at a Walt Disney World Resort hotel, you’ll want to make sure your hotel stay is linked to your My Disney Experience account as well, as that will allow you to make FastPass+ reservations at 60 days before your arrival plus the first 10 days of your stay. If staying off-site, you can make FastPass+ reservations 30 days before each date you want to visit the parks. While not exactly necessary, you’ll want to have a good idea of what your itinerary will be. By this time, you’ll have a good idea of what the park hours are, if there are any special events going on, and you should have your dining reservations made, if any. 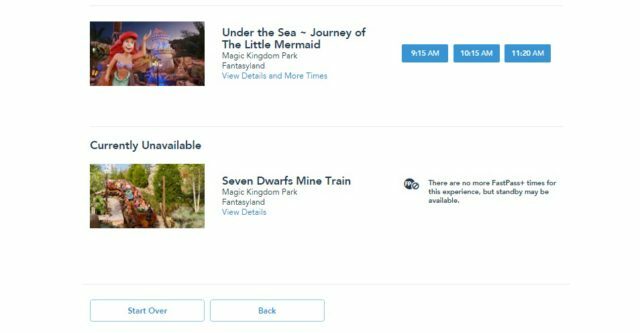 At 7am on the first day you are able to make FastPass+ reservations, you’ll want to be ready to do so to make sure you get what you want. Whether you are using a desktop or the mobile app, the process is the same. 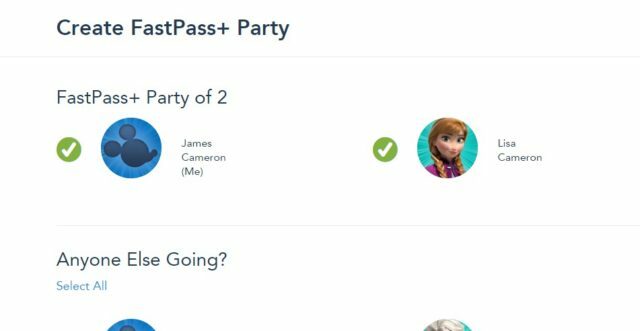 The first step is to choose your FastPass+ party. Often, this will be everyone in your family, but there might be times when only some of you want to do a particular attraction and others might select something else. You’ll be making your FastPass+ reservations one attraction at a time, so start with the most important. 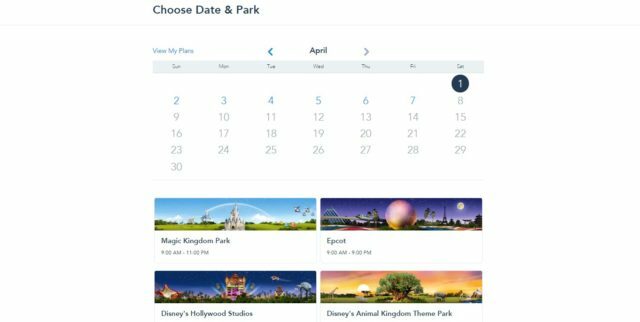 Once you’ve chosen the people you want to make a FastPass+ for, you’ll be prompted to choose the date and which Theme Park you’ll be visiting that day. I know, you’re being asked to determine what rides you’re going to want to do at a particular time of day a whole two months before you even arrive, but it’s better to have a plan in place than to play it by ear. You can always cancel these reservations, but you might miss out if you wait until the last minute. The next screen will display a list of all the attractions that have FastPass+ in that park in alphabetical order, with times that you can select for your arrival window. Disney’s Animal Kingdom, Disney’s Hollywood Studios and Epcot have Tiers or Groups, which means you can only select one attraction from Tier 1, and your remaining selections from Tier 2. You can filter the list by Morning, Afternoon, Evening, or by a specific time to see what’s available. Clicking on a specific attraction will allow you to see all the times available on that day for that attraction. If an attraction has no more FastPass+ remaining, it will be at the bottom of the list. Once you’ve selected your time. Confirm your selection to make it official. You can always modify it later. Oh, and write it down somewhere. Because when you try to make the next FastPass+, it won’t tell you until about any conflicts until you try to make the selection. The system will not allow your FastPass+ reservations to overlap! 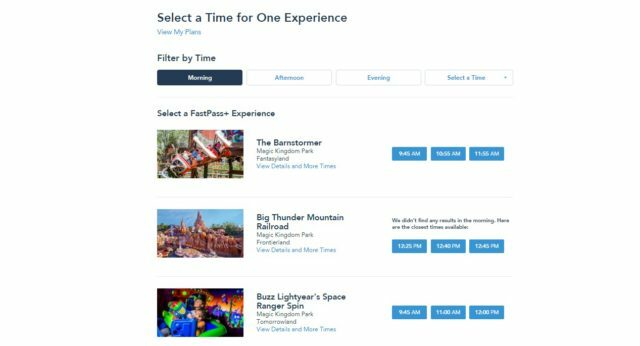 Once you have made your first FastPass+ reservation, you can repeat the process by “continuing on the same day” or “select a different day”. You can keep doing this until you have up to 3 for each member of your family for each day of your trip. Changing a FP+ reservation is simple. 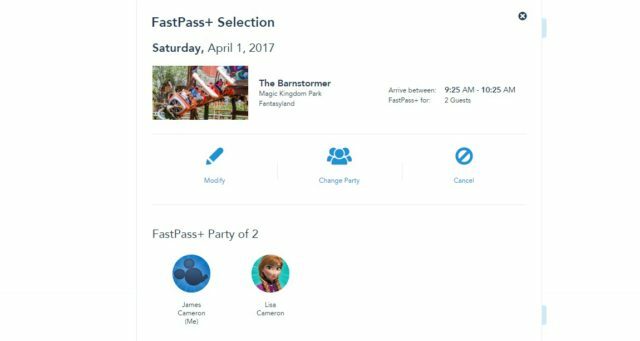 When you view your FastPass+ selections, click “details” and you have the option to change party members, change the time of your FP+, change attraction, or cancel your FastPass+. The system is constantly updating availability, so you can keep checking back to see if a better time or more desired attraction has become available. Canceling your FP+ reservations when you know you aren’t going to use them can also free them up for others to use. The whole point of FastPass+ is to make sure you get to do what you want to do most. Many people will prioritize the most popular attractions. But sometimes it could mean “wasting” a FastPass+ on a less-popular attraction, because that’s what is going to make someone in your family happy. Our son loves “it’s a small world”, and sometimes the wait for that is just a few minutes and other times it can be longer. Having a FastPass+ guarantees getting on it at least once with a minimal wait, so that makes it worth it. 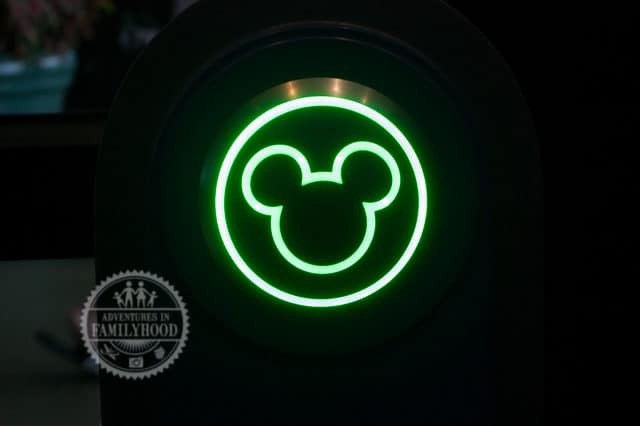 Keeping in mind that you might be able to use single-rider lines, rider switch “baby swap” passes, and perhaps the Disability Access Card in conjunction with FastPass+, here are some general tips and tricks. Avoid making FastPass+ within the first hour or so of the park opening. 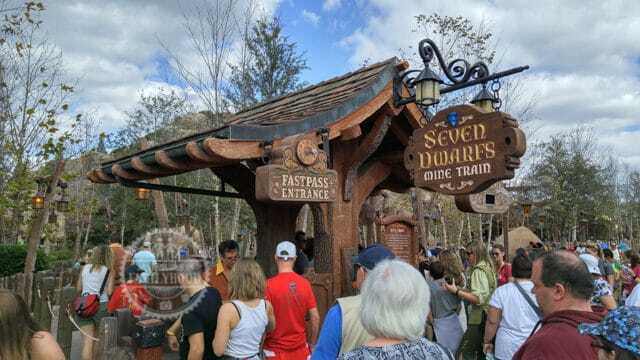 Rides will have short lines when the park first opens. Avoid excess walking. Try not to make reservations too close together for attractions on opposite sides of the park. You can arrive 5 minutes early and up to 15 minutes late. That’s built in to the system, anything beyond that is at the discretion of Cast Members. FP+ reservations can’t overlap, but as soon as you use the first, you can modify the next to move it up if earlier times are available. You don’t have to show up right when the window starts. Sometimes, it’s better to show up at the end of a window so you can go right to your next FP+. Take a screenshot of your FP+ reservations and set it as your phone’s lock screen. You won’t have to open the app or deal with connection problems to remind yourself of your reservations. 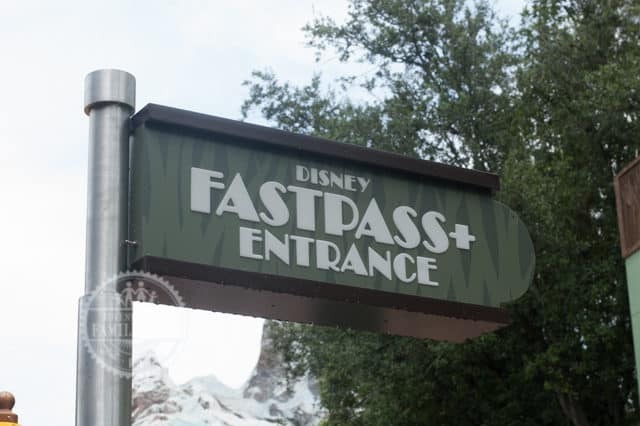 FastPass+ seems like a small thing, but it can make a big difference in your Disney vacation experience. If your family has their hearts set on doing certain things above everything else at Disney, it makes sense to do what is within your power to guarantee that they get the chance! Great post, James & Lisa! 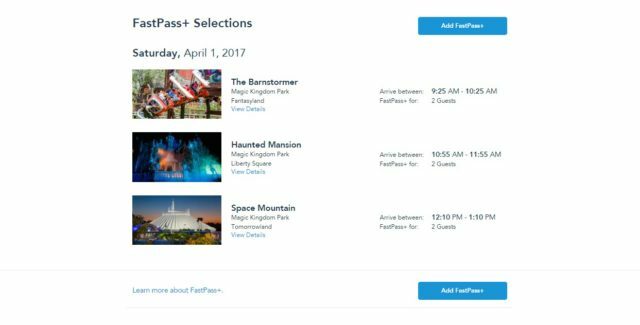 As a travel agent, I’m making FastPass+ selections for my clients often — but personally I haven’t been in a while. I’m ready to make FastPass+ selections for me and my family! Thanks for sharing so much great information! Fastpasses are a game changer at Walt Disney World. No one wants to spend their vacation time standing in line! Great post! The long lines are probably a top 3 complaint for people who go to Disney. Anything you can to do alleviate those waits is going to help make your vacation that much better.